Vintage Chanel Tweed Suit: How to know if it is real or not? | Save. Spend. Splurge. Home › Style › Shopping › Vintage Chanel Tweed Suit: How to know if it is real or not? Vintage Chanel Tweed Suit: How to know if it is real or not? The truth of the matter is that is it very hard to know if vintage Chanel items are real or not, as in the past they did not issue certificates of authenticity or anything like that… because there weren’t many counterfeiters. Knockoffs yes, or other designers doing clothes in the style of Chanel, but not outright forgery where they would blatantly manufacture the label and slap it on anything! The logo has to be stamped or made in a certain way. This may apply to purses more than the garments but I thought I’d throw it in here anyway. 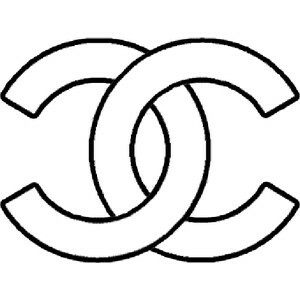 The right Chanel C logo should always overlap the left one at the top and the left Chanel C should always overlap the right Chanel C on the bottom. If you have buttons that do not have the interlocking C logo on them, do not panic! These buttons have not been consistent over the years, and come in a variety of styles, some stamped at the back with “Chanel”, others with nothing at all. A lot of buttons before the 1970s will actually have a lion’s head embossed on them instead of interlocking Cs. Chanel apparently really hated the idea of ostentatious logos on her clothing and showing off, so she tried to make the name as discreet as possible on her garments. Chanel was also born on August 19th 1883 and was a Leo, so she had a great affinity for lions, which is why the lion motif shows up on occasion, particularly on buttons, and the camellia flower also makes an appearance which was her favourite. Funnily enough, the lion head logo’ed buttons can also be worth a lot more than the actual garment itself, if this page is anything to go by, they can sell for about $188 USD per button because they’re so rare. So if each garment has let’s say 6 buttons, 6 x $188 = $1128 USD just for the buttons alone. There are many different variations of the label depending on the period, much like the buttons. To get a better idea of if it is authentic or not, you should try and match the era of the label to the era of the buttons, which will also help you know if the buttons have been replaced or the label sewn onto a fake Chanel jacket. If it was something made in the style of Chanel in the past, it might say Adaptation on the label but it is not Chanel. Here is a great resource of vintage Chanel fashion labels over the years. Obviously, make sure that ‘Chanel’ is spelled correctly. All Chanel jackets have a light chain sewn onto the bottom of the hem so that it hangs perfectly and gives it the proper weight when worn. Chanel jackets are quilted and paneled across the back for a couple of reasons, the first being that it makes it easier to take the jacket out or take it in by 2-3 sizes (flexibility in tailoring! ), and the second for comfort, because quilted jackets are more comfortable and flexible to wear than a straight cut. A metal zipper means it’s probably made in the 1950s or earlier. It’s should be consistent with the style of the garment, age, and buttons. They didn’t use plastic zippers back then. Also, the name of the zipper matters in some cases. They use the brand Lampo in the past, but YKK as of late, and sometimes have 3 Cs on a zipper. Not all jackets will have this, but newer Chanel jackets will have a silk lining with the interlocking Cs embossed in the fabric. Hey I wanted to buy a jacket of eBay and wAs curious about your opinion of real. Can I post? 100% fake. Jackets that are meant to be XXL but fit like a small, are made for the Chinese market with the logo Chanel. It’s a knockoff but a blatant one. These are great tips, with so many knock-offs these days, it’s important to tell an authentic piece from a rip-off. However, due to the variations (types of buttons, label variations) it might be hard to tell if a garment is truly Chanel. It would be best to have it verified by a pro. For sure, but at least you can vet it beforehand.